Seeing a majestic bald eagle soaring across a clear blue Innsbrook sky is an exciting experience for many property owners and guests. 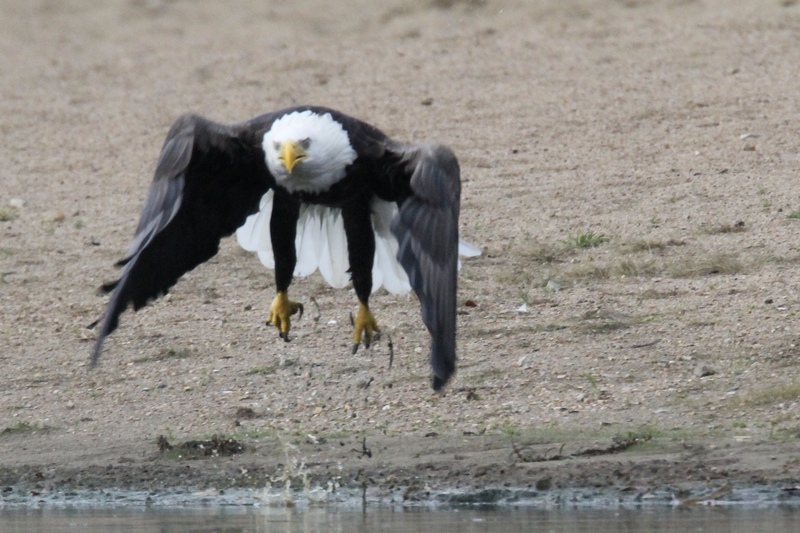 From the history of eagles across the U.S. to the majestic sighting of a few quiet nests near lakes at Innsbrook, the intriguing bald eagle raises many watchers binoculars and interest. Bald eagles are exciting to see when these magnificent birds spread their wings and take flight across the sky! While they may command attention and a small gathering of watchers, in the mid-60s they were overlooked and close to extinction due to chemical poisoning, intentional harm and destruction of their forested habitats. Fortunately, the bald eagle has made quite a comeback thanks to careful environmental restrictions protecting the remaining eagles and land surrounding their nests. In 2007, the U.S. 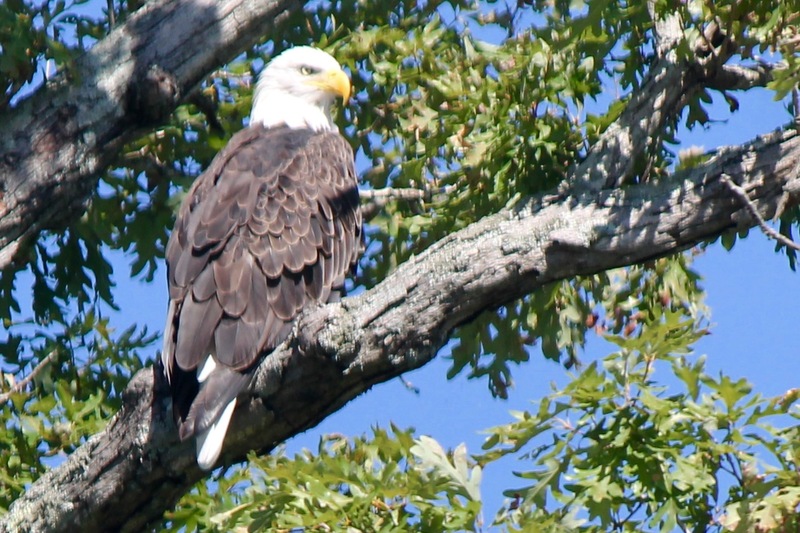 Fish and Wildlife Service removed the bald eagle from the endangered species list. This change took time and great effort! It’s a great example of the importance of continual support and protection for nature in the world and at Innsbrook. Cathy Wilhelmi, Innsbrook Resort property owner, spotted a bald eagle’s nest and her enthusiasm and desire to protect the eagles soared! If you’re interested in observing eagles, the Missouri Department of Conservation (MDC) offers many recommendations on their website. The following guidelines from MDC are offered to protect the eagles and their nests. • Stay 660 feet away. • Avoid cutting trees within 330 feet of the nest. • When nests are naturally blown down from the weather, continue to protect the site for three breeding seasons by retaining mature trees and old growth stands. • Strike a balance between seeing the nest and staying away to avoid disturbing the bald eagle. Binoculars or a telescope may offer the best view from a distance. More tips from the MDC can be found here. The Innsbrook Way is to live in harmony with nature and others. Remember to watch for bald eagles from your own property or on specified nature trails and common ground.